Julius O. “Jule”Weining, 94, of Safety Harbor, Florida, passed peacefully on Friday, March 29, at Bay Pines Veterans Medical Center in St. Petersburg Florida. Jule Weining was born on April 3, 1924, to Anton and Caroline Weining in Newark, New Jersey, one of 7 children. 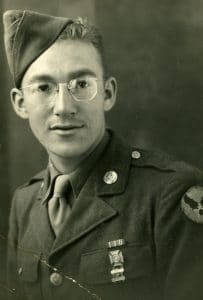 He proudly served in the United States Military during World War II along with his two older brothers, two brothers-in-law, and a sister-in-law. 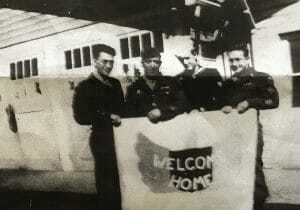 Jule served in the Army Air Force from 1942 to 1945 and was wounded in Britain. 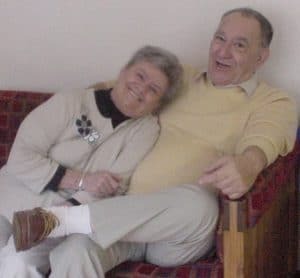 Jule married his late wife, Lorraine, in 1945 and they raised four children together, living in Missouri, Iowa, Virginia, North Carolina, and New Jersey. He was a graduate of Tarkio College in Tarkio Missouri. 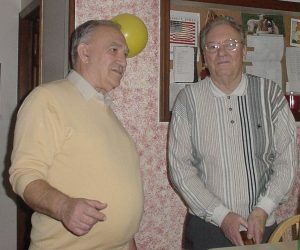 Jule spent his life in service to others. After a long and satisfying career with the Social Security Administration, Jule transferred to the Equal Employment Opportunity Commission where he held the position of Deputy Director. He continued to work after retirement, most notably for the nonprofit, PARC, providing transportation to adults with developmental disabilities. He volunteered at Bay Pines Veteran’s Medical Center, delivered Meals on Wheels, and also volunteered to help others with tax preparation. Jule retired to Pinellas County, Florida to embrace the Florida lifestyle, focus more time on family and travel, and enjoy MLB spring training games. Jule will be remembered best by family and friends for his keen intelligence and curiosity, sense of humor and generosity of spirit. He loved his life, traveled broadly, and was an avid sports fan. He is predeceased by his loving companion and fellow adventurer, Lois Bailey. 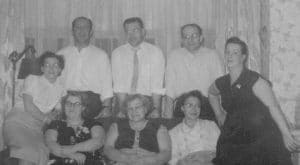 Jule is survived by his four children, Alan Weining of Clearwater, Florida; Karen Nolan of Toms River New Jersey, Robin Ricci of Safety Harbor, Florida, and Penny Weining-Ehrman of Cape San Blas, Florida; his sister-in -law Margaret Weining of Starkville, Mississippi and his son-in-law John Ehrman of Cape San Blas, Florida; as well as four loving grandchildren, six great grandchildren, and a large extended family of nieces, nephews and cousins. He will be greatly missed by all. Jule Weining made arrangements years ago to donate his body to medical research and education as did his two older brothers, his son, and other family members. Veterans Funeral Care is handling the arrangements. A celebration of his life will be held for family and friends in New Jersey later this spring. In lieu of flowers, please consider a donation to the charity of your choice. So sorry for the loss of your Dad. I only met him a few times but he was very nice. My fondest memory is when Kyra and your Dad walked out of a restaurant together holding hands. She was probably about 3 at the time. I’m sure he made a great impression on her because she took his hand without any prompting.